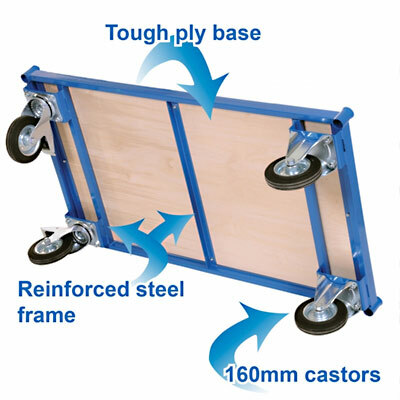 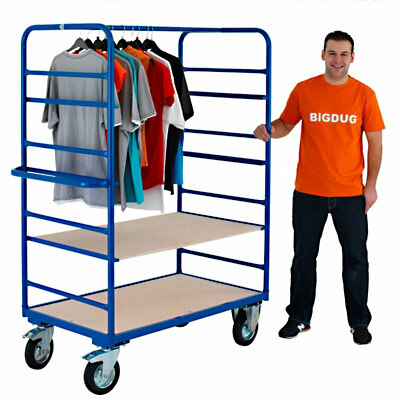 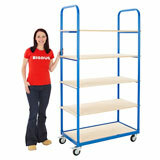 This heavy duty trolley is ideal for moving heavy and bulky items around in the warehouse. 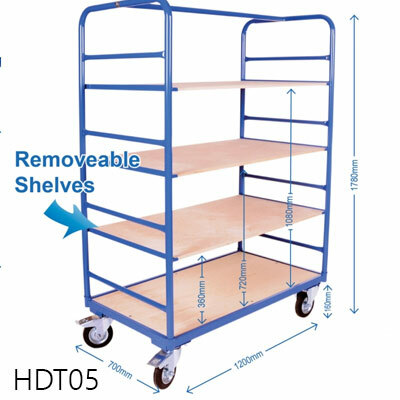 With removable shelf levels to accommodate your products, the trolley can even be used for carrying garments with the fixed garment rail at the top. 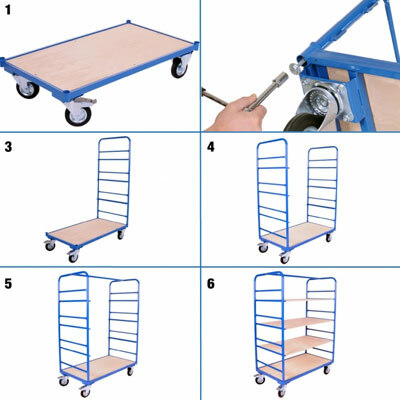 Perfect for use as an order picker in the warehouse and supplied with wither 4 swivel castors designed for easy manoeuvrability with seamless turning similar to that of a shopping trolley, or 2 fixed and 2 swivel castors designed to be steadier for use in a straight line movement. 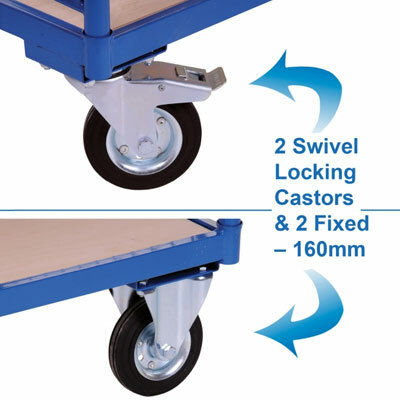 (160mm certified castors as standard). 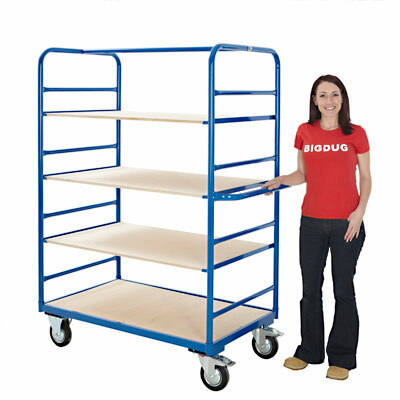 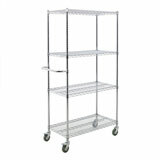 The tubular steel frame provides durability and strength, with 50kg capacity per shelf and a maximum load capacity on the trolley of up to 500kg SWL.